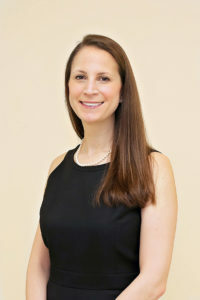 Dr. Kelli Quercetti is a highly trained, board certified otolaryngologist who specializes in the diagnosis and treatment of diseases of the ear, nose, and throat. Dr. Quercetti performed her undergraduate studies at Franklin and Marshall College in Lancaster, PA, and completed medical school at the Philadelphia College of Osteopathic Medicine in Philadelphia, PA. Upon graduation she completed a one-year internship in General Surgery and Otolaryngology, followed by a four-year residency in Otolaryngology/Head & Neck Surgery and Facial Plastics, both at the Philadelphia College of Osteopathic Medicine, rotating through multiple hospitals throughout Philadelphia. She had special training in head and neck surgery and laryngology at Hahnemann University Hospital, and pediatric ENT at St. Christopher’s Hospital for Children. Dr. Quercetti provides medical and surgical care for a full spectrum of ENT and head and neck disorders. She has special interests in sinus disease, laryngology, thyroid/parathyroid disorders, and pediatric ENT, including lactation issues of the newborn. She is a member of the American Osteopathic Association, American Academy of Otolaryngology-Head and Neck Surgery, and the American Osteopathic Colleges of Ophthalmology and Otolaryngology-Head and Neck Surgery. In her free time, Dr. Quercetti enjoys spending time with her husband and two children.